1. ANDREW LITTLE (Leader of the Opposition) to the Prime Minister: Does he stand by all of his statements in relation to the Panama Papers? Andrew Little: Does he accept that the Panama Papers show that New Zealand – based foreign trusts are being used, at the very least, for tax avoidance? Rt Hon JOHN KEY: No, I have not seen the Panama Papers, so I cannot comment on whether that is the case or not. Andrew Little: Why did he limit the tax dodging review to only the operation of the law in respect of foreign trusts in New Zealand, and not, for example, the law around portfolio investment entity funds and tax paid by multinationals? Rt Hon JOHN KEY: I think the review being undertaken by John Shewan will be quite comprehensive when it comes to disclosure and the issues around tax. Where that will ultimately go is a matter of us working with the OECD, and our officials are going to Paris on Wednesday to be part of a global meeting on that. Andrew Little: Why did he push through a law in 2011, which Labour opposed, that cut the tax rate for foreign funds to zero, a move that PriceWaterhousecoopers said put New Zealand on a par with renowned tax havens like Ireland, Luxembourg, and the Caymans? Rt Hon JOHN KEY: That member would need to direct that question to the Minister of Revenue. I don’t have those facts. Andrew Little: Can he confirm that New Zealand was kicked off the EU’s white list following his law change because New Zealand no longer had equivalent “legal requirements of money-laundering and terrorist-financing prevention”? Rt Hon JOHN KEY: No, I do not have that data but I can confirm that New Zealand is ranked in the top 20 in the world when it came to disclosure matters according to the OECD. Andrew Little: Why does he defend tax-avoiding multinational corporations and owners of foreign trusts who are just using New Zealand to avoid paying tax? Rt Hon JOHN KEY: There are a variety of reasons why people use foreign trusts, including ones that may be registered in New Zealand. I am sure many of them are legitimate. Andrew Little: Does he think he has achieved his goal of making New Zealand the Jersey of the South Pacific? And do not pull the wool over our eyes. Mr SPEAKER: Order! I do not mind a certain amount of interjection but when it is getting to that level I am going to have to start mentioning people by name. Andrew Little: Has he ever been involved, personally or professionally, in a foreign trust or other vehicle used to reduce tax? Rt Hon JOHN KEY: I have no ministerial responsibility for that but I am quite happy for the member to look at the answers I gave in my post Cabinet press conference yesterday. Andrew Little: Will he join me and release his tax records to dispel rumours that he has benefited from the use of tax havens? Rt Hon JOHN KEY: Firstly, there are no such rumours. Secondly, I do not think the member actually should table his tax return. I think he should table his CV because he will be out looking for a new job soon. Mr SPEAKER: Order! The Leader of the Opposition wants to raise a point of order. Point of order, Andrew Little. Mr SPEAKER: Order! This is a point of order. It will be heard in silence. Andrew Little: I seek leave to table my income tax records from the year ended 31 March 2010 to the year ended 31 March 2016. Grant Robertson: I was distracted over here. Mr SPEAKER: I accept that he may have been distracted, but he needs to look in this direction a bit more often. •	Documents, by leave, laid on the Table of the House. 2. DAVID SEYMOUR (Leader—ACT) to the Minister of Finance: Does he agree with the statement made by John Key in 2004 regarding stealth taxation through bracket creep that the government “loves taxing the hard-working, productive sector of New Zealand. It loves taking extra dollars off those people at every opportunity it can”? Hon BILL ENGLISH (Minister of Finance): The statement made by the Prime Minister was not specifically about bracket creep; it was also focused on the significant personal tax rate increases that had just been introduced. But I do agree that the then Government did enjoy taxing the productive sector and hard-working New Zealand families. That is part of the reason we undertook the 2010 tax reforms: to cut the tax rates on businesses and hard-working families and to provide additional incentives to save, work, and invest. It is part of the reason this Government has a priority of reducing taxes further, subject to fiscal conditions, particularly for low and middle income earners. David Seymour: How does that square with the fact that by 2017, through stealth tax hikes through bracket creep, this Government will have pinched an extra $2.1 billion from the back pocket of the New Zealand taxpayer since those 2010 tax changes? Hon BILL ENGLISH: We could debate the figures. We are currently in a situation where inflation is very low. Since the 2010 tax cuts, we have seen inflation of 5 percent and wage increases of 15 percent, so the main reason people find themselves in higher tax brackets is wage increases. However, there has been some effect from the 5 percent inflation over that 5-year period. David Seymour: Is not a period of low inflation the perfect time to make the shift and index tax brackets to inflation so that New Zealanders will not lose money to stealth taxation? Hon BILL ENGLISH: It is a matter of weighing up a range of objectives that the Government has. If we did not have any debt or any need to spend, then it would be a lot easier to reduce taxes at will, but we have to cover the spending obligations that the Government has. This Government has set a target on stopping debt rising and beginning to reduce debt as a proportion of the economy. In that context, there has not really been the room to make the kinds of changes the member is talking about. David Seymour: In light of all finance Ministers’ complaining of fiscal pressure, is this not really just another example of National campaigning from the right and governing from the left? Hon BILL ENGLISH: No, National campaigned from the middle and is governed from the middle, and that seems to be reasonably effective. The cost of fiscal drag since 2010 is about half of what the member said—about $1.3 billion per year. Just to put that in context, this very moderate, middle-stream Government has cut ACC levies by $2 billion per year since 2010, twice the amount of fiscal drag. David Seymour: I seek leave to table research from the Parliamentary Library showing that the cost of fiscal drag from 2010 to 2017 will indeed be $2.1 billion. Mr SPEAKER: I will put the leave. Leave is sought to table that information. Is there any objection? There is none. It can be tabled. •	Document, by leave, laid on the Table of the House. 3. BARBARA KURIGER (National—Taranaki – King Country) to the Minister of Finance: What steps is the Government taking to lift capital spending in transport, education, and other core public infrastructure? Hon BILL ENGLISH (Minister of Finance): In recent years the Government has accelerated capital spending. The total investment by Government over the next 2 years is expected to be $11.5 billion, $4 billion more than was spent over the previous 2 years. The reason for the increase is that the Government has brought into effect much more rigorous ways of assessing capital investment, and we now have more confidence in the quality of capital investment propositions that we are seeing. Spending over the next 2 years includes $2.6 billion on transport, $1.7 billion in Canterbury, $1.4 billion on schools, and $400 million on ultra-fast broadband. Barbara Kuriger: What will be some of the other consequences of the Government’s lift in capital spending? Hon BILL ENGLISH: The Government has a choice between the level of investment in infrastructure and other capital investment, like information technology, versus the amount and timing of debt rate repayment. All things being equal, the lift in capital spending will mean a slightly higher debt track than would otherwise have been the case, and, potentially, a later start date for paying down debt. The Government has lifted this capital spending, though, because of the quality of the initiatives; that is, we believe they are sound investments in the future growth of the economy. At the same time, we remain on track to meet the fiscal target of net debt of around 20 percent of GDP by 2020. Barbara Kuriger: How has the Government’s investment in infrastructure been making a difference in regions like Taranaki – King Country? Hon BILL ENGLISH: I have some information relevant to Taranaki – King Country. Earlier this year the Government announced that it is accelerating the Awakino Gorge tunnel bypass as well as the Mount Messenger bypass, with these investments totalling around $100 million. As the member knows, it is often pointed out that these are vital freight links into the Taranaki region. These are just one example of the accelerated regional roading programme that covers Gisborne, the West Coast, Horowhenua, Otago, and Northland. Barbara Kuriger: How is the increasing infrastructure investment supporting jobs growth? Hon BILL ENGLISH: We are lifting our investment partly because surrounding our workers with capital will, over time, boost productivity and lift wages. We are seeing significant job growth. Treasury estimates that the Government’s roads of national significance programme will involve around 35,000 construction jobs, and a further 4,000 jobs are expected from the ongoing roll-out of ultra-fast and rural broadband. However, long after the jobs of constructing have gone because the projects are finished, the ongoing economic benefits of this consistent pipeline of high-quality investment will be paying off for the economy. 4. Hon ANNETTE KING (Deputy Leader—Labour) to the Minister of Health: Does he agree with the findings of the recent TNS survey showing about 174,000 New Zealanders are in need of publicly funded surgery, but have not been placed on a waiting list; if not, why not? Hon Dr JONATHAN COLEMAN (Minister of Health): No. The telephone survey by the health insurance industry of people’s perceptions of what they need is not the same as being medically assessed as being in need. Over 7 years, this Government has lifted the number of specialist appointments by 25 percent and the number of operations by 41 percent. The only answer to increasing demand is to do more, and we are. Hon Annette King: In light of that answer, why does he dismiss the TNS New Zealand survey showing 174,000 people are blocked from elective surgery as just the Health Funds Association of New Zealand trying to “drum up business”, when his Ministry used the same global research company to carry out research for the Government. Was that research shonky? Hon Dr JONATHAN COLEMAN: Why I do not agree with them is because we now have literally a handful of people waiting over 6 months for surgery—unlike 8 years ago when there were 30,000 people waiting for over 6 months for surgery—and only 2,000 waiting for over 4 months. It is very different to 8 years ago when $3 billion extra went into the Budget to deliver 2,000 fewer operations and 7,000 fewer appointments—under Mrs King, of course. Hon Annette King: Having had time to read the research published last week in the New Zealand Medical Journal, does he agree with the findings that patients currently being returned to their GP without an operation would have qualified for publicly funded surgery during the 2006-10 period; if not, why not? Hon Dr JONATHAN COLEMAN: They may or may not have—I mean, there are different surgical thresholds around the country. All we do know is that back in the period that the member mentioned, 31,000 people were kicked off surgical waiting lists by her. Hon Annette King: If he has read the research published in the New Zealand Medical Journal on 1 April, will he now correct his Associate Minister’s answer from last week that hip and knee operations were up by 10 percent for the Southern District Health Board, when the latest figures show that there has been nearly a 10 percent decrease—decrease—since 2011? Hon Dr JONATHAN COLEMAN: No. I dispute Mrs King’s figures and I am not going to correct the Associate Minister’s answer. I think that he did a really good job in showing you up, actually. Mr SPEAKER: Order! [Interruption] Order! The Minister should not bring the Speaker into the debate. Hon Annette King: I seek leave to table an Official Information Act request delivered on 7 April 2016 by the Ministry of Health for the Southern District Health Board, showing a 10 percent decrease. Mr SPEAKER: Leave is sought to table that particular information. Is there any objection? There is none. •	Document , by leave, laid on the Table of the House. Mr SPEAKER: Order! Bring the question to a conclusion. Hon Annette King: —hospital meals that the Minister tried.”? Hon Dr JONATHAN COLEMAN: Firstly, I am very glad to hear that the member is following my interviews on 1ZB so closely. I notice that she actually had the opportunity to try one of those hospital meals yesterday in Dunedin, but I guess the crisis talks were so intense that there was no opportunity to go and front up and do what she challenged me to do. I did, and it was a very good meal. Why do you not man up and do it yourself, because you think you are so tough? Hon Annette King: I raise a point of order, Mr Speaker. It is impossible for me to “man up”—I am a woman. Mr SPEAKER: And a very capable one, as well. [Interruption] Order! We return now to question time. 5. JAMES SHAW (Co-Leader—Green) to the Minister of Finance: Will there be the opportunity for public submissions as a part of his review of foreign trusts? Hon BILL ENGLISH (Minister of Finance): The task of the review is to understand the technical issues and identify opportunities to strengthen the disclosure regime for foreign trusts. That is the purpose of the independent expert review. As is normal practice for this kind of review, public submissions will not be heard at this stage. However, as the Prime Minister has said, the Government is open to considering changes to the disclosure rules that are warranted. Should legislative change be required, for example, public submissions will be invited in the usual way through the select committee process, and, generally, changes in tax law, if that is what was involved, go through a public consultation process. James Shaw: If he will not allow the public to make submissions as part of the review process, will he guarantee that transparency and anti-corruption experts will be invited to give their expert opinions? Hon BILL ENGLISH: They seem to be giving their opinions now. Some seem to be less informed than others, but the independent review will continue. Mr Shewan is not going to be taking public submissions, but I am sure he will be looking at all the relevant material the member is referring to. James Shaw: Am I to take from his answers, then, that Mr Shewan will conduct his review without referring to anybody external, other than his own opinion? Hon BILL ENGLISH: I am sure he will refer to all sorts of external opinions and technical material, but in the end he will give us a report that is his view of it. That will be open to contest by anyone who wants to argue about it. James Shaw: Will all evidence from the review be open and available for public scrutiny? 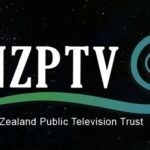 Hon BILL ENGLISH: I am sure that it will, subject to any relevant privacy considerations such as New Zealand’s tax privacy law—if that is relevant, and I do not actually know whether it is or it is not. James Shaw: Does the Minister think that having a single poacher act as gamekeeper will restore public confidence in our foreign trust industry? James Shaw: I raise a point of order, Mr Speaker. I was not asking for a review of Green Party policy. I was asking whether or not the evidence would be open to public scrutiny. Mr SPEAKER: The question was fairly loaded. The answer was certainly given in the first part, and the second part of the answer does not add anything to the information before the House. James Shaw: Does it matter whether or not New Zealand fits the legal definition of a tax haven if it is being used as one anyway? Hon BILL ENGLISH: There has been a lot of discussion about whether New Zealand is “a tax haven”. Any country that has a commercial structure, such as companies, could be described as a tax haven if they are used by some people to avoid tax. We reject the label of tax haven, but of course we are open to expert advice about whether the disclosure rules around foreign trusts are adequate or not. 6. STUART SMITH (National—Kaikōura) to the Minister for Economic Development: What reports has he received about diversification of the New Zealand economy? Hon STEVEN JOYCE (Minister for Economic Development): I have seen a number of recent reports that demonstrate that diversification. Despite the downturn in the dairy industry last year, our exports in the calendar year were up $1.9 billion, to $69.3 billion. So even with the decline in dairy exports of $3 billion, the rest of the export economy grew by $4.9 billion. Tourism is up; in the primary industries, meat exports were worth $6.8 billion in 2015, up 15 percent in 1 year; wool exports were up 8.2 percent; fruit up 30.6 percent; and wine exports were up 13.6 percent, with further growth likely. I am advised that just in the member’s area of Marlborough there were 2,000 hectares of new plantings last spring, with another 2,000 hectares in the next year. High-tech manufacturing continues to grow. What was once a $100 million industry has grown to nearly $1.5 billion in exports. Stuart Smith: How is the Government encouraging continued diversification of the New Zealand economy? Hon STEVEN JOYCE: Encouraging businesses to innovate and create new products and services is a crucial part of diversifying our economy. That is why we have set up Callaghan Innovation, our new high-tech innovation hub. We have established primary growth partnerships to extract more value from the primary sector, and we have brought in a new research and development grants programme to replace the failed tax credit scheme. Our focus on encouraging research and development is bearing fruit. Last year, business spending on research and development grew by more than 15 percent, according to Statistics New Zealand. Through New Zealand Trade and Enterprise we are working with businesses in cities and regions to make the most of exports. We have established ICT grad schools, to put more money into science, technology, engineering, and mathematics education, and we are signing free-trade agreements, like the Trans-Pacific Partnership and the Korean free-trade agreement, to give our businesses market access. Stuart Smith: How has this diversification provided more opportunities for New Zealanders? Hon STEVEN JOYCE: In a number of ways. New Zealand, over the last 6 years, has had the seventh-highest rate of economic growth across the OECD. Despite doom and gloom from some quarters, New Zealand now has the third-highest rate of employment in the OECD. WE have had employment growth of 10 percent over the last 6 years, and also 10 percent growth in total hours worked. This is having a positive effect on wages. From 2003 to 2008, prior to the global financial crisis, real wage growth over that period was just 5 percent. In the last 6 years real wage growth has been 8.7 percent. Ron Mark: Clearly out of touch. Hon STEVEN JOYCE: Yes, it has. 7. Rt Hon WINSTON PETERS (Leader—NZ First) to the Prime Minister: Does he stand by all his statements? Rt Hon Winston Peters: When he said that Mr Shewan was independent, was he aware of his Westpac Banking Corporation, Australian-owned, bank settlement of $2.2 billion to the Inland Revenue Department, which it had attempted to evade in terms of taxation? Rt Hon JOHN KEY: I would not want to agree with the member’s characterisation, but, yes, I am aware he worked on the issue. Rt Hon Winston Peters: When he made the appointment about his expertise, was he aware of the case Penny v Hooper where the Court of Appeal and Supreme Court dismissed Mr Shewan’s evidence as being inappropriate from an expert witness? Rt Hon JOHN KEY: I was not aware of that particular point but I would say this: John Shewan has been highly respected across the tax industry in New Zealand. He has been chairman of PricewaterhouseCoopers. He is someone who was given an award either in the Queen’s Birthday or New Year’s Honours. Frankly, actually, when it comes to financial expertise and knowing what he is talking about, he runs rings around that member. Rt Hon Winston Peters: I raise a point of order, Mr Speaker. My question was about a case in 2010. Either he was aware or not aware, and after that he should have been stopped. Mr SPEAKER: The Prime Minister immediately said he was not aware of that particular case. Mr SPEAKER: Order! It is a point of order. I wish to hear it in silence. Rt Hon Winston Peters: When the Prime Minister said he was not aware, why then was he not stopped from rambling on about something he was not asked about? Mr SPEAKER: The member makes a reasonable point. As I have mentioned many times in this House, I will determine when I think an answer has gone on for too long. Rt Hon Winston Peters: When the Prime Minister made the statement about the expertise of Mr Shewan, was he aware of how his so-called expertise on form over substance on the wine-box allegations conflicted with the Privy Council, the Court of Appeal, and the full High Court of New Zealand? Rt Hon JOHN KEY: I am aware of John Shewan’s complete integrity. That is not something I am sure of when it comes to every member. Chris Hipkins: I raise a point of order, Mr Speaker. There are reasonably clear rules—and that have in the past been enforced—about questioning the integrity of other members in the House, which stops members from doing so for very good reasons. Mr SPEAKER: And on that occasion it was not addressed to any particular member, as I took it. Chris Hipkins: I raise a point of order, Mr Speaker. In which case it was directed at all members, in which case I take offence. Mr SPEAKER: On the basis that Chris Hipkins is offended I am going to ask the Prime Minister to stand and withdraw the last part of that answer. Mr SPEAKER: Order! The Rt Hon Prime Minister will now stand and withdraw it correctly, without any addition. Mr SPEAKER: Supplementary question—Order! [Interruption] When I am on my feet, the Hon Amy Adams, equally, should be quiet. David Seymour: In what century did the wine-box inquiry take place? Rt Hon JOHN KEY: One so far back I can hardly remember it. Rt Hon Winston Peters: Why did he tell The Paul Henry Show yesterday that he was taking a paper to Cabinet that morning proposing the appointment of an international tax expert? Rt Hon JOHN KEY: Because I did. Rt Hon Winston Peters: So what happened to the international tax expert? Did he turn you down? Mr SPEAKER: Well, he did not turn me down. Rt Hon JOHN KEY: The member can come into the House and abuse and bag Mr Shewan if he wants, but Mr Shewan has a glittering career. I will get him to reflect on his own. Mr SPEAKER: Order! [Interruption] I have not called. 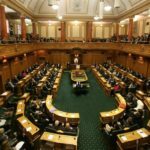 Rt Hon Winston Peters: I raise a point of order, Mr Speaker. Why is the Prime Minister allowed to lace up the end of every inferior answer with an epithet or insult? Mr SPEAKER: I invite the member to go back and equally look at his question, where he finished his question by saying “Did he turn you down?”. Rt Hon Winston Peters: Is this highly independent John Shewan the same John Shewan at National’s caucus party, held at Premier House, hosted by the Prime Minister? Mr SPEAKER: If there is any ministerial responsibility, the Prime Minister. Rt Hon JOHN KEY: Probably, and so were the parliamentary press gallery and many other people. People love coming to a National Party function. It is a lot of fun. You used to be the cheerleader amongst them, Winston. Mr SPEAKER: Order! [Interruption] Order! I am just waiting for silence from my left. Rt Hon Winston Peters: I raise a point of order, Mr Speaker. Once again, why is the Prime Minister allowed to get away with an end to an answer like that over and over again? Mr SPEAKER: I suspect if I had been applying the rules very strictly, the question was out of order. It asked about an issue for which there is no prime ministerial responsibility. It is a party matter. Hon David Parker: I raise a point of order, Mr Speaker. Why is it that you allow a question, presumably because it is in order, and yet when challenged as to allowing out-of-order replies, always flick the complaint away by saying “I shouldn’t have allowed the question.”? Mr SPEAKER: No, I didn’t—[Interruption] Order! I am happy to try to help the member. I did not say I should not have allowed the question. I said the question was not strictly in line with the Standing Orders. I can start, if the members want me to, to apply them very, very rigorously. I suspect it would not be to the advantage of the Opposition, and I suspect after a relatively short period of time members would wish that I did not do that. But in that particular case, given the question the way it was asked and the answer the way it was given, I was satisfied that it was within the bounds of the rules. Hon David Parker: Point of order. Hon David Parker: No, it is not. Hon David Parker: It is a fresh point of order. Mr SPEAKER: A fresh point of order—the Hon David Parker. Hon David Parker: I raise a point of order, Mr Speaker. How was the question out of order? Mr SPEAKER: I thought, again—[Interruption] Order! I will try to explain it. The issue was about the attendance at a National Party function. Mr SPEAKER: Well, as I heard it, it was, and that’s the—[Interruption] Order! My patience is running extremely thin with Dr Megan Woods. If she continues to interject, particularly when I am standing on my feet, she leaves me no choice but to ask her to leave. Rt Hon Winston Peters: Can he confirm that Mr Shewan was a longstanding partner and chairman of PricewaterhouseCoopers New Zealand, the same accounting firm that was directly implicated in the 2014 Luxembourg Leaks scandal? Rt Hon JOHN KEY: In answer to the first part of the question, yes; in answer to the second part of the question, no, I do not know what the member is talking about. Rt Hon Winston Peters: Is he aware of the connection between PricewaterhouseCoopers and the Cayman Islands organisations and companies and trusts and one Codan Trust Company (Cayman) Ltd? Is he aware of that? Rt Hon Winston Peters: I seek leave to table relevant documents that relate to that last question of the Prime Minister, where he appears blissfully unaware of what is going on. Mr SPEAKER: Order! No. Just explain the documents. Rt Hon Winston Peters: Well, you will not find them around. Mr SPEAKER: Just explain—[Interruption] Order! Rt Hon Winston Peters: This is a corporate record and register, not available for public inspection, that I seek to table. Mr SPEAKER: Leave is sought to table that particular corporate record. Is there any objection? [Interruption] Is there any objection? There appears to be no objection; the member can table it. 8. Dr PARMJEET PARMAR (National) to the Minister for Social Development: What feedback has she received regarding the overhaul of Child, Youth and Family? Hon ANNE TOLLEY (Minister for Social Development): I have received overwhelmingly positive feedback on my announcement that Child, Youth and Family will be transformed to be truly child-centred. Such feedback is heartening, as we will need the continued support of a wide range of organisations while we continue this important work. Unicef has stated that the overhaul is “the most comprehensive example of Government actively seeking to hear diverse voices, including those of children,”. The Children’s Commissioner has said that the overhaul “is visionary and has potential to change the lives of many vulnerable children.” Barnados has said that it agrees “wholeheartedly … that all of us as New Zealanders must step forward and claim our vulnerable children as our own.” This is a fantastic opportunity to deliver lasting change for our vulnerable children, and it is only the beginning. Dr Parmjeet Parmar: How will she ensure that the voice of the child is heard in the overhaul of Child, Youth and Family? Hon ANNE TOLLEY: To create a truly child-centred system, this transformation requires the voice of the child to be heard throughout, which is why I am establishing New Zealand’s first ever independent advocacy service for children and young people in care. The advocacy service will involve children and young people in the decision-making process throughout the overhaul and will ensure that their expectations are met by the system. I am also delighted that my Youth Advisory Panel will be re-established to provide advice and feedback to me as the work continues over the next year on transforming the system. Our vulnerable young people deserve to have a voice in their care, and we want to ensure that their voices are heard. Jacinda Ardern: Will she rule out the use of private entities like Serco for the provision of directly purchased services, as she has set out in her reform? Hon ANNE TOLLEY: As I have been very clear, the proposals for the new operating system will be contracting out services on a direct purchase basis in order to provide for children’s needs as they need them. But, as I have also been very clear, these are about individual children, and, therefore, the services would be based on that individual need. It is the intention that they be local and that they be immediate, and that would discount any major large private enterprises. 9. GRANT ROBERTSON (Labour—Wellington Central) to the Minister of Finance: Does he stand by his statement “it has become pretty much unacceptable in the developed world at least to be running a tax haven that undermines other people’s tax bases”? Grant Robertson: Brief but not memorable. How can he justify a regime, which he helped to create and continues to defend, that has led to the undermining of the tax base in a country such as Malta, where senior politicians use New Zealand’s trusts and managed funds to make tax-free profits, and that has led to the Maltese people protesting in the streets? Hon BILL ENGLISH: Of course, it is up to the Maltese Government to decide whether any of those allegations are actually correct, and it may well ask for information from New Zealand, which, of course, it would supply. These matters will be dealt with by the expert review. Grant Robertson: How can he deny that New Zealand is eroding the tax base of a country like Malta when its tax evasion came via “a combo pack” from New Zealand designed to exploit New Zealand’s “weak … due diligence;”—as described by Mossack Fonseca—and has been made up of “New Zealand foreign trusts (which pay no tax on foreign income) and what is described as Look Through Companies … which could be owned by the trusts.”? Hon BILL ENGLISH: Not being an expert on those matters, I would not want to comment on the tax affairs of the Maltese Prime Minister, or whomever the member is actually referring to. The expert review will deal with the issue related to disclosure—about what happens with these foreign trusts. Bear in mind that anyone who transacts in New Zealand is now subject to anti – money laundering provisions, another regime called the Foreign Account Tax Compliance Act, and a further regime called the Automatic Exchange of Information, all of which are part of New Zealand’s effort to play its part in the global work to reduce tax evasion and avoidance. Grant Robertson: Was Chapman Tripp wrong in its advice about the changes his Government made to allow for a zero tax-rating of non-residents’ managed funds: that this put New Zealand “in the same league as Luxembourg”, the very country he was talking about in the quote during the substantive question? Hon BILL ENGLISH: I have not seen its advice and cannot comment. Grant Robertson: Why should the international community take seriously New Zealand’s calls for a crackdown on multi-national companies in New Zealand that are not paying their fair share and are eroding our tax base when we are implicated in eroding the tax bases of countries like Malta and Mexico, or has he lost his moral compass too? Mr SPEAKER: Order! The Hon Bill English—the first part of that question. Hon BILL ENGLISH: Our voice in these discussions is taken seriously because New Zealand has the most comprehensive and thorough tax system in the developed world, with the least loopholes and tax breaks, and, actually, some in New Zealand would argue, the harshest treatment of foreign investors in New Zealand. Grant Robertson: I seek the leave of the House to table advice from Chapman Tripp from 10 October 2011 that puts New Zealand in the same category as Luxembourg, Ireland, and the Caymans. Mr SPEAKER: Order! Leave is sought to table that particular legal advice. Is there any objection? There is objection. 10. MAUREEN PUGH (National) to the Minister of Immigration: What recent reports has he seen estimating the fall in the number of overstayers in New Zealand? Hon MICHAEL WOODHOUSE (Minister of Immigration): I have received the latest report from Immigration New Zealand, which shows the number of overstayers is now at the lowest level it has been this century. Hon MICHAEL WOODHOUSE: There are now 10,848 overstayers. That is 1,300 fewer than the previous estimate from October 2014. The most remarkable thing about the number of overstayers is it is almost half what it was in 2005, when there were an estimated 20,000 overstayers. Maureen Pugh: How much extra has it cost to achieve this reduction in overstayer numbers? Hon MICHAEL WOODHOUSE: Zero. In fact, the Government is achieving significant savings, with a halving of removal and deportation costs from $3 million 10 years ago to $1.3 million now. This Government’s smarter focus on encouraging overstayers to settle their affairs, pay their own costs for departure, and leave New Zealand voluntarily has contributed to this large decrease. Our policy gives them the opportunity to reset the clock and apply to enter New Zealand legally. Better visa application processes reduce the likelihood of visitors becoming unlawful, further reducing the numbers and costs of overstayers. 11. STUART NASH (Labour—Napier) to the Minister of Police: What does she believe are the main contributors to the increase in the number of burglaries and the drop in resolution rates over the past 12 months? Hon JUDITH COLLINS (Minister of Police): In my opinion, the main contributors to the burglary rates are criminals, their dishonesty, and a lack of deterrents. There is also the added fact that one-third of burglars are aged 16 and under, and 65 percent are aged 24 years and under. There is an element of opportunism as well, and I am advised that in some areas the increase has been seen in the burglary of residential construction sites. As to the second part of the question, the reason, I am advised, for the drop of resolution rates is dependent on factors unique to each district, such as drugs, gangs, youth offenders, and construction. Stuart Nash: If she thinks it is criminals, does she agree with Counties Manukau crime prevention manager Dave Glossop when he blamed the media for the increase in burglaries when he said: “The media around burglaries has been one of the contributing factors to the increase of burglaries because people think it’s a crime they can get away with.”? Hon JUDITH COLLINS: I have learnt that it is never wise to blame the media, even if one’s views are honestly held. Stuart Nash: Does she think the actual reason that criminals think burglary is a crime they can get away with is that 90 percent of burglaries now go unsolved by police due to under-resourcing; if not, why not? Hon JUDITH COLLINS: That member will be thrilled to know that after only 2 weeks of Operation Resolve, following my firm discussion with the commissioner, 17 arrests have been made in just 2 weeks. Mr SPEAKER: Order! I am just waiting until I get some silence from your colleagues. Stuart Nash: Why has she dismissed the findings of the recent Police Association survey that found 86 percent of police think the front line is under-resourced, by saying “they didn’t actually mean under-resourced”, and does she not think that is a little condescending? Hon JUDITH COLLINS: Oh, I could not possible compete with the Labour Party for being condescending. 12. EUGENIE SAGE (Green) to the Minister for Climate Change Issues: Does she agree with the statement made by GNS Senior Scientist Nancy Bertler that sea-level rise of 30cm in 30 years is “incredibly certain”, and the Parliamentary Commissioner for the Environment’s analysis that a 30cm rise would result in 1 in 100-year high water levels in Wellington happening every year? Hon PAULA BENNETT (Minister for Climate Change Issues): In part, yes, but I would point out that even the Parliamentary Commissioner for the Environment and the scientist mentioned in the question disagree. Eugenie Sage: Would she discourage a first-home buyer from taking out a 30-year mortgage today on a home in a low-lying coastal area, given the risks facing such properties over the next 30 years? Hon PAULA BENNETT: It would depend on where it is, what mitigation happens over the next 30 years, and what adaptation local councils are taking responsibility for. Eugenie Sage: Does she believe that councils are giving homebuyers enough information on the effects that rising sea levels may have on future property values in areas like the south coast of Wellington, south Dunedin, and Napier’s low-lying suburbs? Hon PAULA BENNETT: Not consistently, no. I do not think they are giving enough information. Eugenie Sage: When rising sea levels cause worse flooding in coastal communities, leaving some homes uninsurable, will the Government be ready and willing to step in and compensate homeowners, as it did with homeowners who were affected in the red zone after the Canterbury earthquakes? Hon PAULA BENNETT: That is not something that we have been looking at at the moment, so I do not have an answer to it, but it is not in our reckoning. I think we have got a big programme of work to do, particularly after signing the Paris agreement and then working towards what ratification actually looks like, and I am encouraging, really, looking at having a task force that includes business, NGOs, academics, and agriculture, and then bringing the public along as well so that we can seriously look at how we not only meet our obligations as far as the 2030 target but also bend that curve and become more of a lower-emission economy. So that is the target, and I think if we get that sort of stuff right, we can start addressing some of the concerns that the member raises. 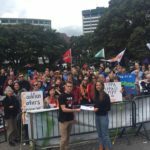 Eugenie Sage: What action has she taken, if any, to support her statement that New Zealand needs “a longer-term, carefully developed plan on the financial implications from rising seas,”? Hon PAULA BENNETT: As I just outlined, I have been meeting with and talking with a lot of different groups, particularly around businesses and NGO groups and others, so I think what our focus needs to be on now is whom do we get together over the next couple of months to then work over a much longer term—and I think beyond 2030—to look at how we lower our emissions in New Zealand. So we are still working out exactly what that looks like and what the right forum is, but we are really keen to see that be an in-depth process that is very transparent and open. David Seymour: Does the Minister believe that managing risk from sea level rise is the responsibility of central government, local government, or property owners? Hon PAULA BENNETT: In some contexts, all of the above. PreviousPlain packaging: why are we waiting?